Uncategories Keep An Eye What Your Kid Is Doing On Internet? No doubt it is world of Computer and Internet. Computer and Internet are became necessity of our daily lives. In the past these where only used in offices but now they are used in every house. 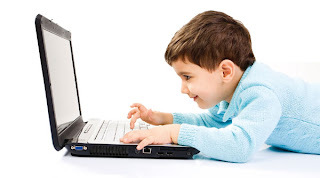 There is also no doubt that there are many benefits and good uses of Computer and Internet but what about its wrong uses specially for kids? Wrong use of Computer and Internet can badly effect mind of your kid. Many a times wrong stuff can come in-front of us online which we not even tried to open but was shared by others. So it can be harmful for our Kids. So we should try maximum ways that our Kids do only positive use of Computer and Internet. also see Web history of Browser that what your Kids opened on Internet? Remember Positive use of Internet can increase Knowledge of our Kids and wrong use can destroy their character.